Today we spent the day by the beach. A lot of the beaches were private where we were staying so we had to hunt for a free one which was then very packed. I’ve never seen so many people selling things! 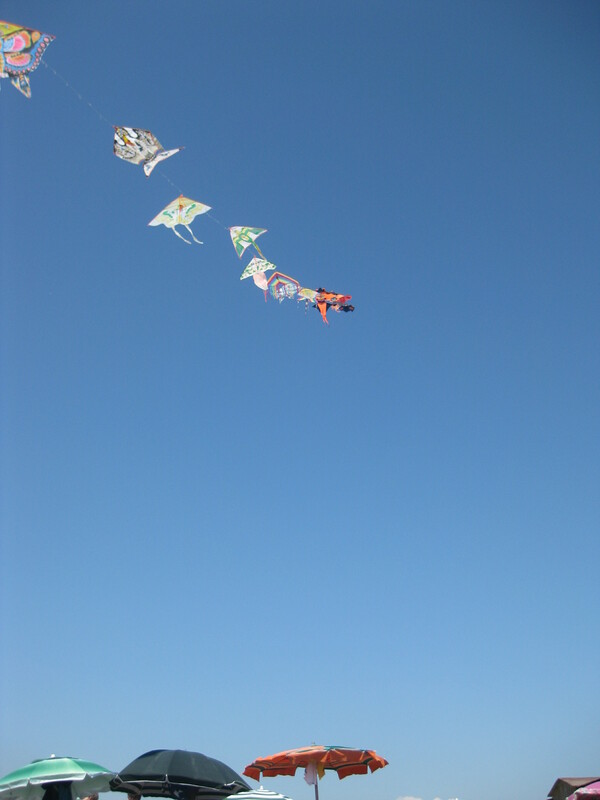 This one man was selling kites, and had them all tied together on a string (the picture!) It was a nice, relaxing day.